One popular vacation destination among senior citizens is the Aloha State of Hawaii. As a matter of fact, many of the tourists in Hawaii are senior citizens who have spent most of their lives saving and waiting for the day when they can finally savor their vacation. It may seem that many of the activities one can do in Hawaii are geared towards the younger crowd, but doing a bit of research can result into a plethora of senior-citizen friendly sights and activities. If you're in your golden years, make them more memorable by planning a vacation to Hawaii. 1. Make sure to have adequate travel and health insurance. Before traveling to Hawaii, make sure to have adequate coverage from your insurance agency. Travel insurance can be purchased prior to your trip to Hawaii so you can have medical and financial assistance should something befall you while you're on vacation. Shop around for plans that offer maximum coverage especially for senior citizens and diseases or conditions that may come with old age. 2. Prepare yourself physically and mentally. Nothing beats the kind of insurance that one can get from being physically and mentally in shape. Make sure to build up your immune system prior to a trip to a locality that's different from what you're used to by taking enough vitamins, eating properly, and regularly exercising. 3. Pack the right clothes. Because of Hawaii's mild climate all-year round, packing light is a good idea. However, aside from your summer clothes, make sure to bring swimming gear and a light jacket when you plan to go out at night. Don't forget your hiking and camping gear if you're planning to spend a night or two in the wilderness. A favorite among senior travelers when touring the islands of Hawaii is a cruise ship trip. Trips aboard cruise ships are very economical as transportation and lodging are taken care of in just one package. Travelers can also get to the different islands and destinations throughout Hawaii in a faster and more convenient way by going on a cruise. Cruise ships are also perfect venues for senior travelers to meet and make new friends, and enjoy good food and company. Aside from combing the beaches and enjoying the bounties of the sea, senior citizen tourists can also take part in hikes and trips to the famed rainforests of Hawaii. Islands such as Kauai can be the perfect paradise for seniors looking for the tranquility of rainforests as this island has gentle and mildly challenging routes. Wildlife enthusiasts will surely have a field day in Hawaiian rainforests because there are purportedly about 10,000 endemic species of flora and fauna in these islands. Those who want to navigate the rivers and streams can also go kayaking in the gentle waters in Kauai. Those who want to go through trails and forests with ease can also rent jeeps or SUVs for special senior discounts. Get spectacular views of the Pacific from a perch above the blue seas. Seacliffs offer the best views not only of the ocean but also of humpback whales and dolphins frolicking in the sea. Senior travelers can get a slight workout and a whiff of fresh air when they go on treks to the sea cliffs in the Na Pali Coast. The Wiamea Canyon is also a famous landmark that can be enjoyed by tourists. This colorful rock basin rivals that of Arizona’s with splashes of green and earthy maroon. Hawaii possesses such wondrous natural formations that Hollywood movies and TV shows are often shot in the islands. Molokai and Lanai have lent their spectacular seacliffs and mountain ranges to the Jurassic Park movies while a golf course in Oahu is famous for being the setting of the TV series Lost. Senior travelers can book tours to these sites and brag about being on the set of their favorite movies and TV series. Senior travelers can also get a taste of the geological history of the Hawaiian archipelago by going to the Hawaiian Volcano National Park on the island of Hawaii. Trek through the gently sloping sides of the shield volcano of Mauna Loa and observe lava and magma up close as Mauna Loa comprises about 51% of the island. However, be advised not to bring any volcanic rocks home as not only will Pele, the Hawaiian deity, will purportedly cause misfortune for you, but also because it is illegal. Hawaii is also famous for the acres and acres of tropical fruit plantations on its islands. Seniors can book excursions and informative trips to pineapple and coffee plantations to take in the sights and sounds of these places. Afterwards, sumptuous and fresh tropical fruits such as pineapples, lychees, and bananas can be bought for a cheaper price than can be bought in markets. If you plan to take home fruits from Hawaii to the mainland, keep in mind that you may have to go through an agricultural screening when at the airport. This is done to prevent the spread of fruit flies in the mainland. A great way to experience the culture of Hawaii is to participate in luaus or Hawaiian parties. Here, visitors can get to see how Hawaiians celebrate festivities and entertain guests. Aside from the sumptuous Hawaiian delicacies such as the Kalua pig, poke, seafood, meat, and vegetable dishes, tourists can also be entertained with the hula and fire dances. Hawaii is a hodgepodge not only of cultures but also of gastronomical delights. Throughout the islands, a variety of food can be found, each one having roots from different cultures from all over the world. But, these are given a twist that certainly speaks of the tropical island of Hawaii. The Hawaiian archipelago is blessed to be in a prime location in the middle of the Pacific Ocean as the bounties of the sea are just within reach. Get a load of clams, oyster, shrimps, and other seafood cooked and prepared just so to bring out the clean flavor of the sea. Being in the middle of the Pacific also makes Hawaii a melting pot of cultures with people from different Asian and Polynesian origins settling on the island. As such, even the food in Hawaii varies. Get a taste of Filipino adobo, Chinese noodles, Japanese sushi, Korean Bibimbap and kimchi, and Hawaiian poi in the different restaurants and food stalls throughout the islands. Desserts most often consist of tropical fruits that are ensured of their freshness as these are grown locally. Cool off from the tropical heat of the islands with shave ice, sherbet, and ice cream doused with flavors that can only be found in Hawaii. Though many senior citizens may have spent most of their lives saving for their trip to Hawaii, prices and rates usually fluctuate through time. In order to get the best out of your trip, make use of your senior citizen privileges. Hotels, restaurants, and even transportation offices often offer discounts to senior citizens who have their cards or other documents with them. Here are more tips that can definitely help senior travelers make the best out of their trip to Hawaii. 1. Always bring your senior card with you. One way that the government helps out senior citizens is by mandating establishments to offer discounts to senior citizens. However, these benefits can only be availed upon presentation of valid documentation such as state-issued identification cards and senior identification cards. Registration with the local Senior Citizens’ Bureau is also recommended so senior travelers can have someone to account for them in the event that valid documents get lost or misplaced. 2. 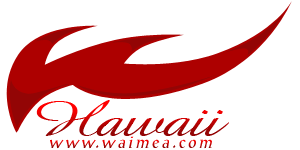 Check out for senior citizens service organizations in Hawaii. If you want to find out activities and itineraries that are "senior-friendly," you can get help from the people at any senior citizen service organization in Hawaii. The personnel of these organizations are always willing to lend a hand especially to senior travelers who want to know how to get around the islands. Senior travelers can also get help finding suitable lodgings, arranging tours and activities, and even transportation amenities if they drop by a senior citizens service organization. The staff members of these organizations can also help senior travelers get into activities that can make their vacation more meaningful. Schedules for festivities and other celebrations can also be acquired from organizations that offer travel services to seniors. Though the sights and smells of local restaurants are enough to entice you, steer away from eating out regularly during your stay. This not only makes you pack in the pounds (and cholesterol) fast, but also eats away your travel money fast. Stop by the local grocers to purchase fresh ingredients that you can cook up on your own. If you want to get a taste of Hawaiian fare, look for luaus that charge reasonably or places that serve satisfying lunch plates.